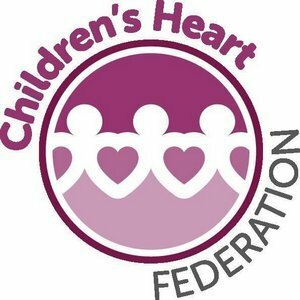 The CHF is dedicated to helping children with congenital or acquired heart disease and their families in Great Britain and Northern Ireland. Each year over 5,000 mothers and fathers receive the news that their baby has been born with a deformed heart. A heart deformation is the most common birth defect in the UK. A baby’s heart is not much bigger than a walnut and may face major surgery within their first few days of life is an enormous undertaking. Their families’ then face the emotional journey of their child needing long-term medical attention that may well lead to a restricted and shortened life. Fortunately, the Children’s Heart Federation is there to support children with heart conditions, as well as their families. Providing grants, medical equipment, a free helpline, family trips and children’s books and dolls, CHF is a small charity that makes a big difference across the UK. Molly underwent heart surgery as a baby, resulting in a scar.7 years ago, Molly began asking questions about the scar on her chest when she started school. Like every parent with a young child who has undergone major heart surgery, her mother Ita was faced with the difficult challenge of explaining the scaring and her condition to Molly. After calling the CHF Information Line, our charity used her idea of making custom made rag dolls with surgical scars sewn on their chest. We gave the first one to her and called them Molly’s Dollies. Since then, CHF have provided over 1,200 dolls, with scars that match theirs, which has helped many young children cope with undergoing major heart surgery. Families caring for babies and children suffering from a heart condition can face financial hardship. Whether paying for travel to their child’s heart hospital miles away during their surgery, funding the additional cost of a heart child’s special diet or paying for specialist pushchairs, CHF provide small grants of up to £300 to families who find it difficult to fund the basic necessities of caring for their heart child. Sadly CHF have to turn down parents who need help due to funding constraints. Many children with heart defects are at constant risk of blood clots or internal bleeding because of the drugs they rely on called Warfarin, which they are likely to be on for the rest of their lives. For a heart child, this sadly means regular visits to the hospital to get their blood tested which interrupts their schooling and their parents work life. A self-testing INR International Normalised Ration (INR) machine is available; however it is not free on the NHS. The test provides the independence for the child’s blood to be tested at home, and the Children’s Heart Federation currently funds these machines for children with heart conditions.